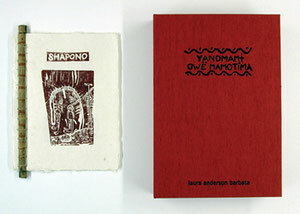 Laura Anderson Barbata - ARTE AMAZONIA provides a global voice through art for the indigenous cultures of the Amazon. The Yanomami Paper Project is an ongoing initiative, working with the Yanomami community living in the Venezuelan Amazon Rainforest. It is part of a series of collaborative works which exists under the heading of mx-lab: arte social through the direction of Laura Anderson Barnata. 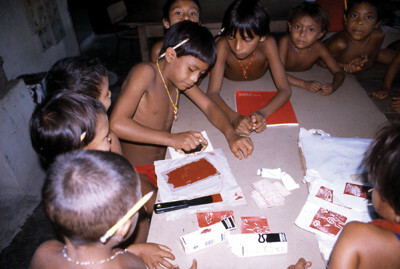 It was developed directly with the Yanomami community, and holistically addresses several needs at once: the need for them to document their own history, their need of an ecological method of recycling obsolete text books and other paper refuse, and the need to create a new means of revenue without disturbing their cultural and ecological environment. 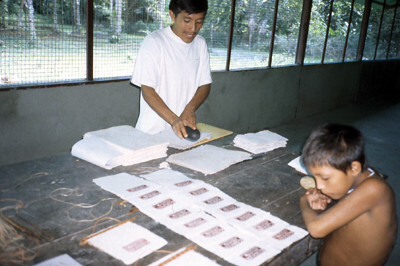 In 1992, deep in the jungles of Platanal, Amazon State, Laura Anderson Barbata begun to teach Sheroanawe Hakihiiwe and many other member of the Yanomami community how to make paper from indigenous fibers and recycled materials. 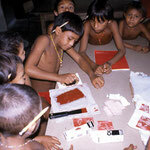 The conditions for paper making are not easy in this region of the world. 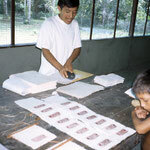 The Yanomami have no history of paper as their stories are passed by oral tradition from generation to generation. But times are changing, and this ancient culture was seeking a way to maintain their identity in the documenting of their culture through their myths and beliefs. 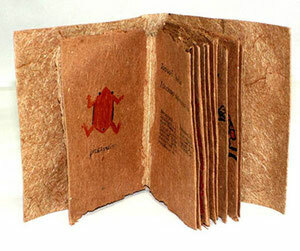 Produced by this initiative, two beautiful books have been created: Shapono and Iwariwe. In 2000 was the completion of the first book, Shapono, a six-page book written in the Yanomami Language and illustrated by the children of the community. 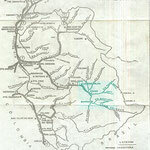 The story Shapono (or, Shabono), meaning Community House, is part of the creation beliefs of the Yanomami people. 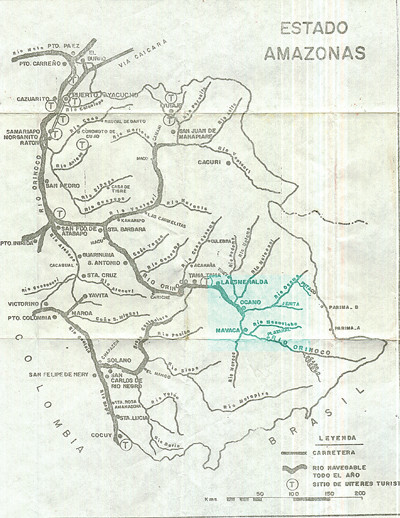 The book illustrates the construction of the first Yanomami house, as the Yanomami were taught to build by the God brothers: Omawë and Yoawë. It won the Best Book of the Year Award from the Centro Nacional del Libro of Venezuela in 2000. This book is part of collections both private and public, including the Cotsen Library Collection of Princeton University; the Gimbel Library of Parsons School of Design in New York; The Library of Congress, Latin American Book Collection, Washington D.C. and the Spencer Collection of the New York Public Library.